We all want beautiful long eyelashes with much volume. And if you look at the beauty industry you see that their are a lot of eyelash treatments like: eyelash lifting or coloring of eyelash extensions and of course the eyelash serums. So beautiful and long eyelashes are for sure a (permanent?) trend. Also the budget brand essence knows this because when I was recently taking a look at their assortment… I saw a lash volume booster. And this promises to give you super volume and the primer is enriched with super fruits. I was so curious for the results… So I bought this lash primer for the ultimate test, one side with only mascara and only side with lash primer and mascara…. Meh, you barely see any different… So right I’m only wearing mascara and left I’m wearing the primer + mascara. But to be honest I don’t see any different, except if you take a good look on the left you still see a bit white from the primer. The idea from essence is good. But that is all, because the product don’t work… In the beginning I thought that it worked. But if you see the photo with and without primer then I came till the conclusion that it was just a thought… Because on the photos you barely see a difference. If I would see a bit difference then I would say yes I will use this again. But with such results… No, this product can directly go into the trash. It only cost more time for no result… And I sometimes had the feeling that even after a few coats mascara I still saw the white from the primer or that it became gray… So no, this product is for me a big disappointment. 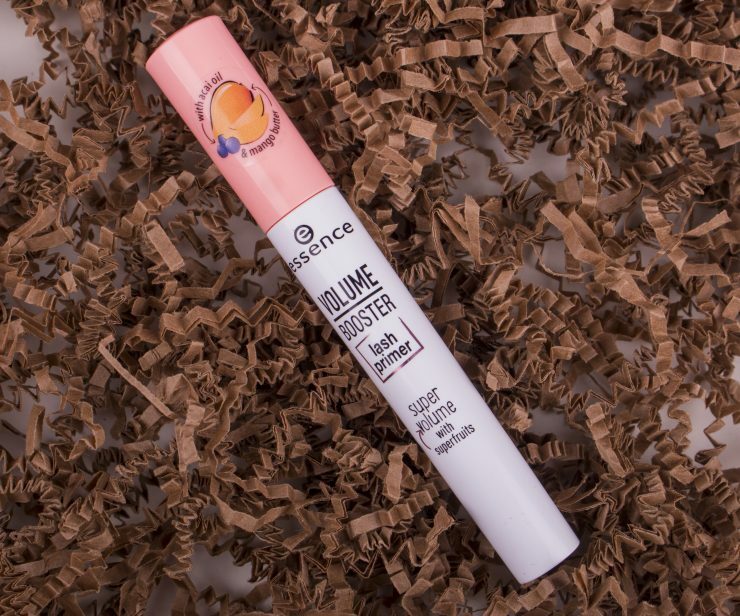 The prize from the volume booster, lash primer from essence is €2,89.